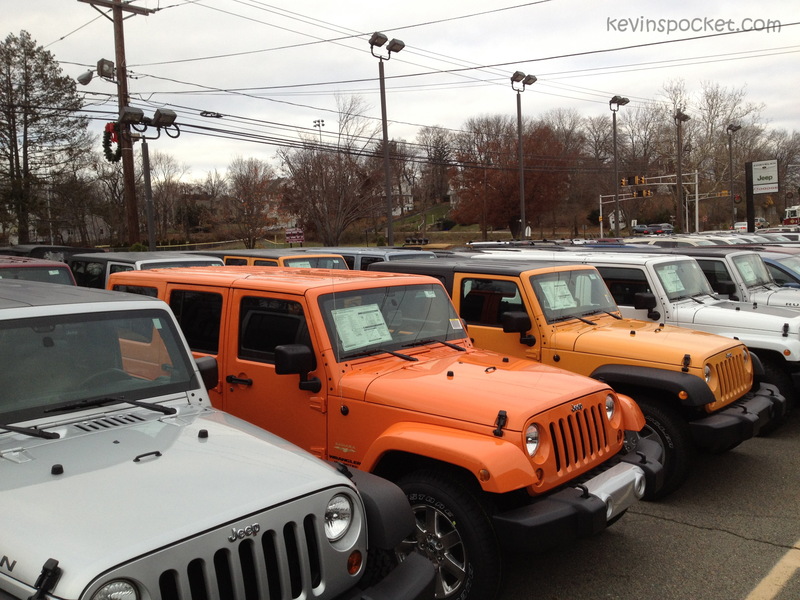 I promise this will be the last Crush Orange Wrangler post – I just love this orange so much and know that a lot of you are having a hard time finding them. As with all of the pictures I’ve taken, the color seems a little lighter than it actually is. 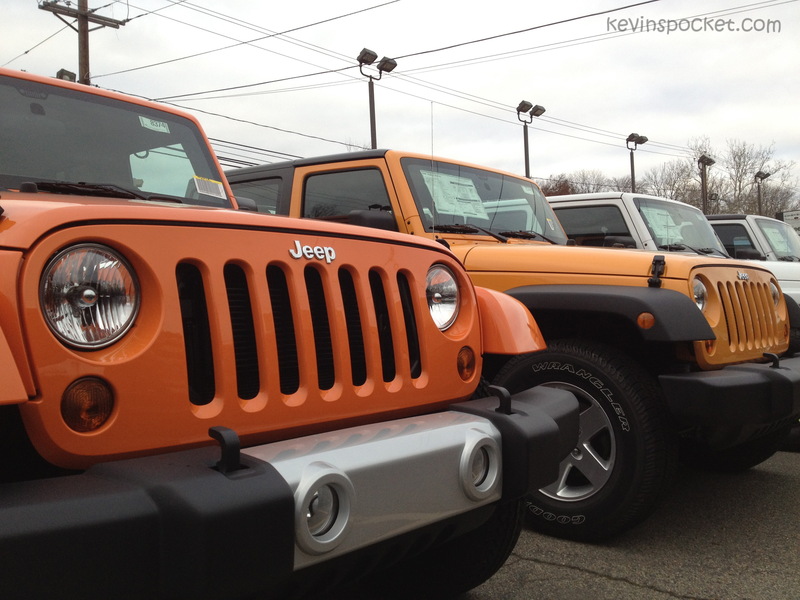 The grille shot with the Crush parked next to the Dozer shows a good comparison of the two. enjoy! 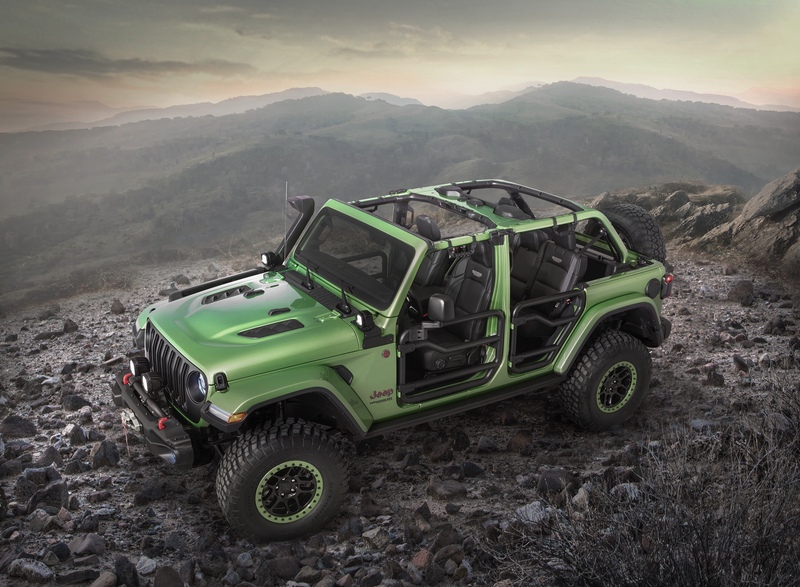 I personally think that these drastic colors look even better with the contrasting black fenders and top – but to each their own. 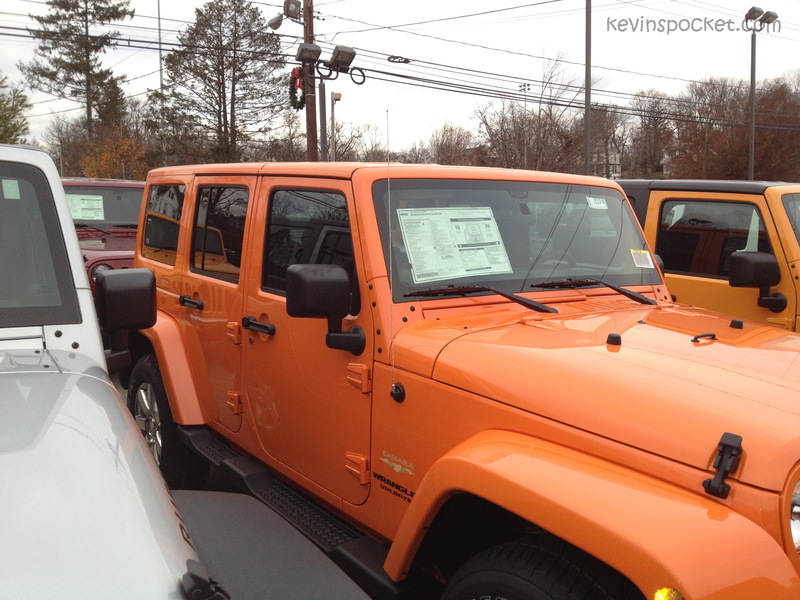 This JK has a whole lot of orange going on. The image of the Crush grille is the best representation of the color; as you can see some of the images make it look a bit lighter than it actually is. 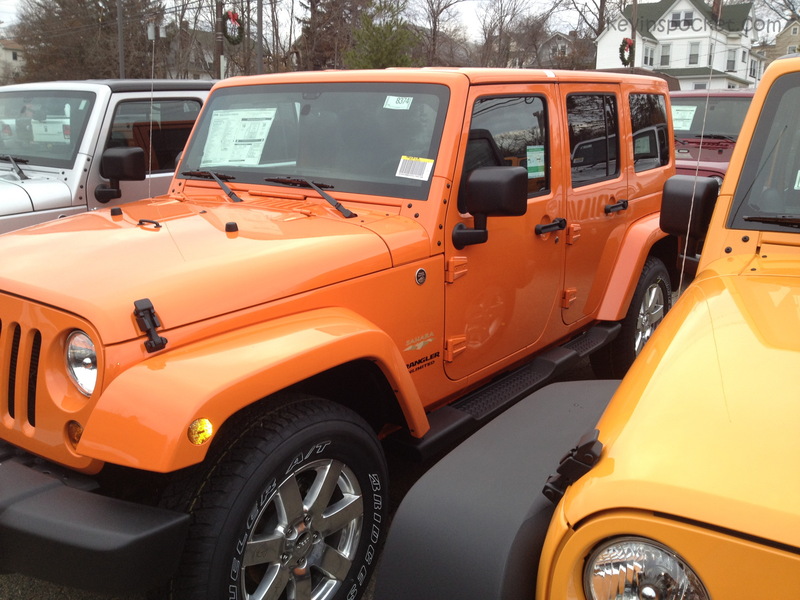 I just bought the sahara unlimited in orange crush…had to special order it and have it made. What an awesome color this is!!! I like the color motive. Great!